If you have ever seen a vampire dance, then you know they can really move! As immortal beings, they have gotten to see so many dance movements come and go throughout history, so they know what works. It's easy to disco dance all night long when you don't have to sleep, and break-dancing is a cinch when you can levitate. If you have an eternity to perfect your sick moves, you've earned the right to brag a little. In addition to their dancing skills, vampires are notoriously stylish, and are always experimenting with flashy new fashions. 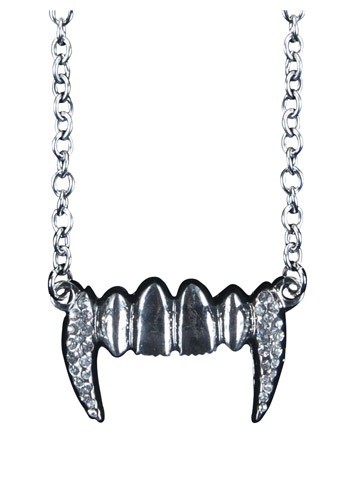 The latest trend that is taking vampire dance clubs by storm is this Vampire Fang Necklace. The chain and pendant are made of metal, and the fangs are embellished with gems to glamour your onlooking fans. 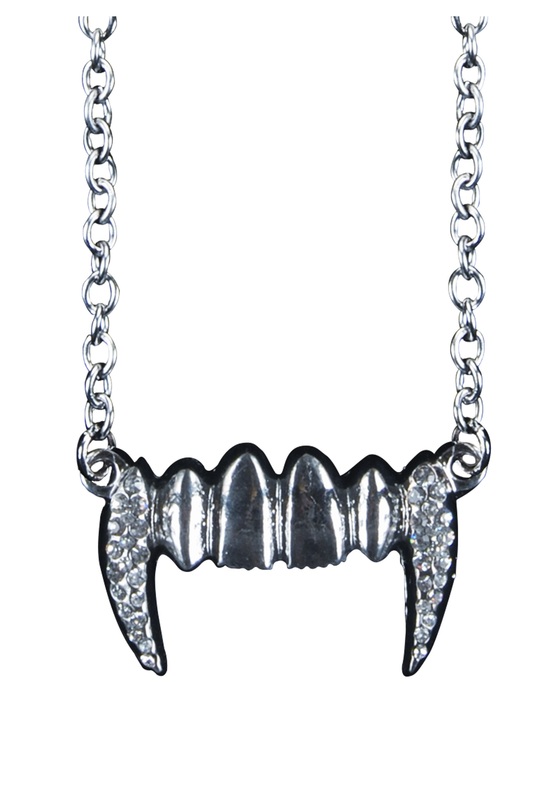 You don't have to be a vampire to look dazzling and dangerous when you are sporting this bling!